100 Rounds of Discount 115gr FMJ 9mm Ammo For Sale by M.B.I. 100 Rounds of 115gr FMJ 9mm Ammo by M.B.I. Although there’s plenty of great advice out there in the firearms world, there’s some bad stuff, too. Among the worst advice possible: holding your pistol grip tighter to combat greater recoil (you’ll only do worse the stiffer you are, so hold firmly, yet relaxed), shutting your “other” eye you’re not aiming with (you’re just going to ruin your ability to aim accurately, quickly and destroy your peripheral vision – the one exception being cross-dominant shooters), and then there’s the belief that J-frames make a fantastic first gun for women because all they need do is load it and drop it in their purse – of course, there’s the minor issue of learning to use it properly, but it’s often made to sound as if they’re buy-and-stow-until-use items (no gun is!). The 9mm, however, is a popular first gun for many, thanks to its low recoil and affordable price combined with decent stopping power. Whatever gun you own, you need practice. And if you own a 9mm, these M.B.I. rounds are a nice choice. They’re a lightweight 115 grain and have FMJ’s, which means they don’t expand on impact, so you need a good backstop. If you want to do some target practice, tactical training, or plinking, this round’s for you. They have nice zip with a muzzle velocity of 1,140 feet per second and make a solid impact with a muzzle energy of 332 foot-pounds. Avid shooters using them praise their consistent cycling and say they don’t overly dirty guns. And with 100 rounds in the box, you can spend a nice afternoon at the range. M.B.I. produces these remanufactured rounds to high standards right here in America. Each once-fired brass case is meticulously chosen and put through a cleaning process before being reloaded with brand new, high-quality components. 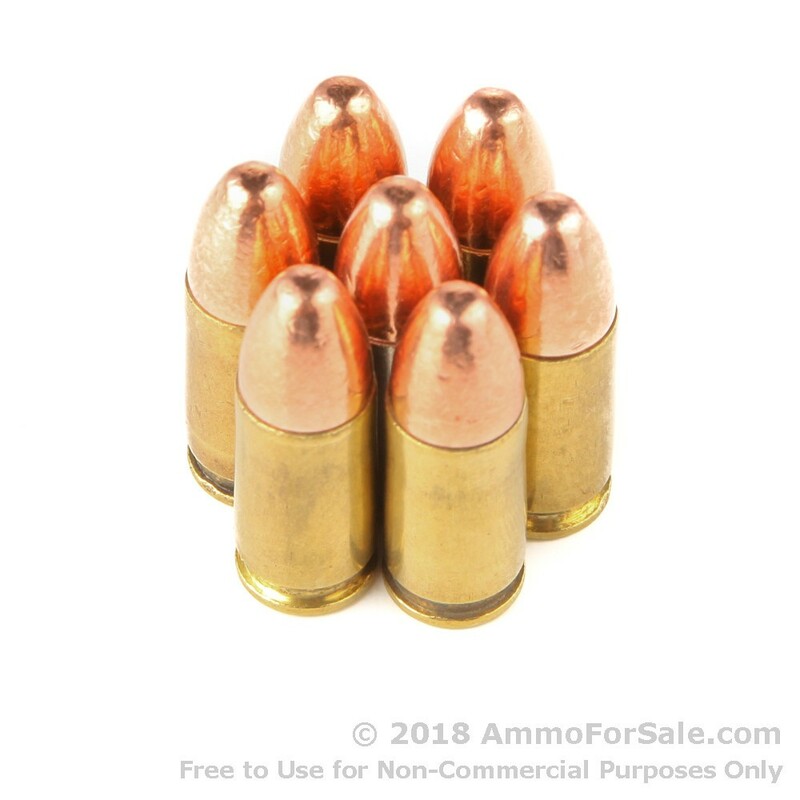 Bullets come from Hornady or the military plant in Lake City, primers are from CCI, and propellants are Hogdon; you just know these are good rounds. You should never buy remanufactured rounds from just any company; M.B.I. is well-known for their precision manufacturing and exceptional quality. 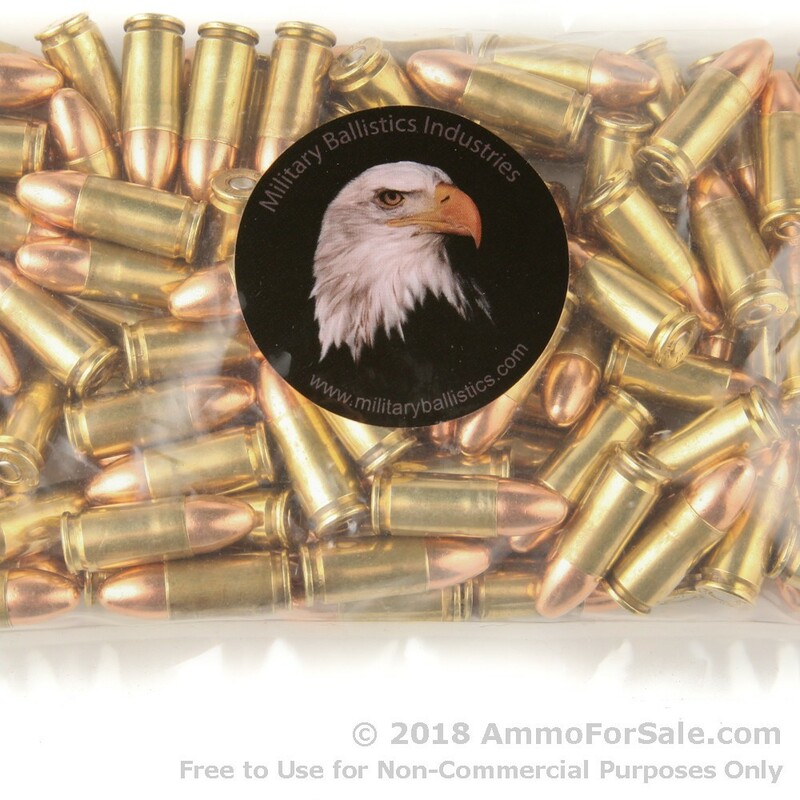 Take some good advice with your 9mm: place your order today for these 100 rounds in a sealed plastic bag to make both you and your gun happy. 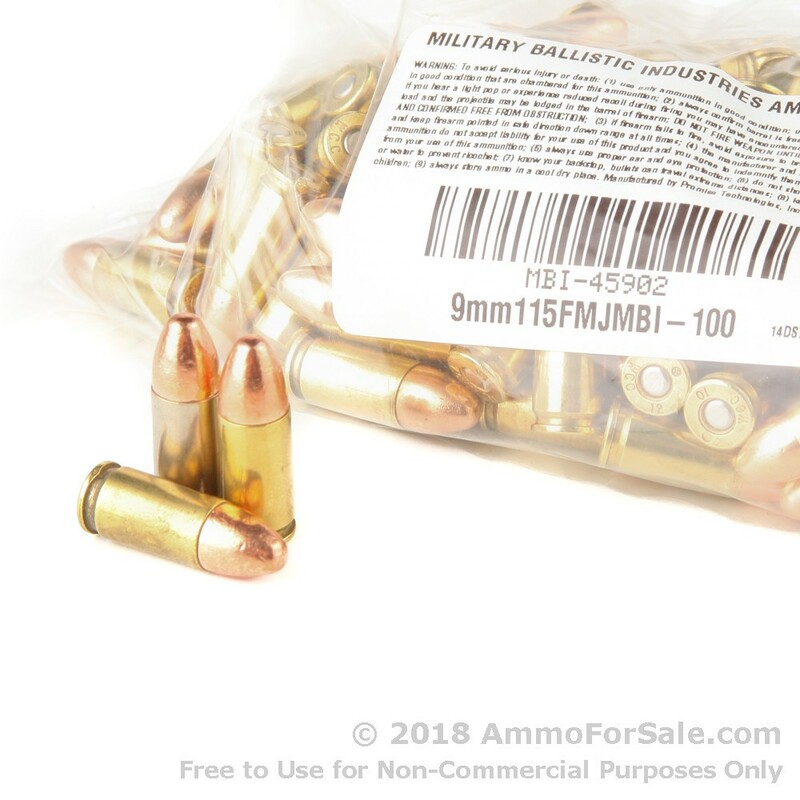 Add a Question about 100 Rounds of 115gr FMJ 9mm Ammo by M.B.I.